It appears that an aggressive lobbying campaign by the US and the UK has succeeded in stopping a qualified Russian candidate from winning the presidency of Interpol. One day after four US senators, Secretary of State Mike Pompeo, and the home office of the UK expressed outrage at the notion that Interpol Vice President Alexander Prokopchuk, a general in the Russian Interior Ministry, had emerged as the front-runner to become the international police agency's next president. Both the US and UK urged Interpol members to vote instead for Kim Jong Yang, who assumed the role of acting president after the last president, Meng Hongwei, disappeared in China following rumors of a corruption prosecution, according to the Financial Times. On Wednesday, UK Home Secretary Sajid Javid praised Kim’s "clear win" which he said "comes despite Russia’s best efforts." He added the result was an "encouraging victory for rules and rights-based security co-operation." Meanwhile, the Kremlin criticized the international opposition to Prokopchuk as yet another example of the West meddling in affairs concerning Russia. "We are witnessing the foreign mass media’s campaign to discredit the Russian candidate for Interpol president," ministry spokesperson Irina Volk told newswire Interfax. "We think it is inadmissible to politicise Interpol as a professional international organisation combining the efforts of...countries in the fight against transnational crime and terrorism." 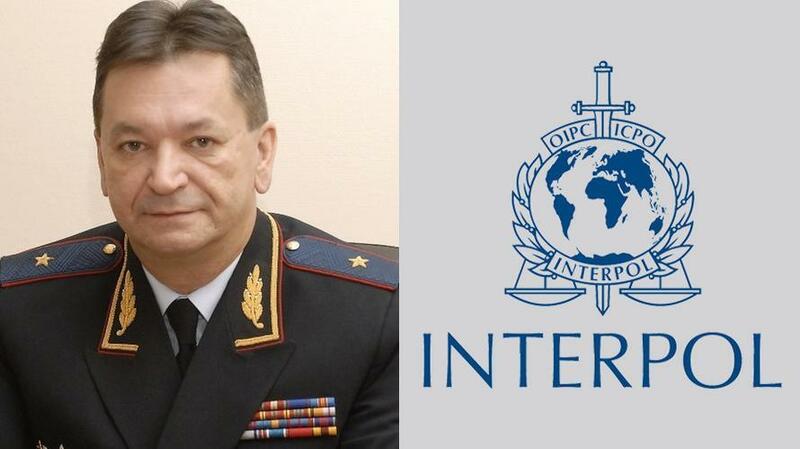 Western democracies feared that the election of Prokopchuk would transform Interpol into a tool of the Russian state (ignoring the many safeguards in place that limit the Interpol president's power). Specifically, they feared Russia would use the organization to prosecute political dissidents (something that China neglected to do when one of its top security officials served as president). Interpol has denied claims that it is vulnerable to abuse by authoritarian regimes due to provisions in its constitution that specifically guard against this. Opposition to Prokopchuk was particularly intense in the Baltics, where Lithuania threatened to quit the organization should Prokopchuk be elected. Eimutis Misiunas, Lithuania’s interior minister, said Russia could use Interpol to crack down on Lithuanian officials. Together with other EU countries and Nato allies we are the main voices advocating that if the Russian candidate is selected, Interpol could become a politicised instrument for the regime," Mr Misiunas said. Human rights activists say Moscow has unfairly filed "red notices" with Interpol asking countries to target and arrest dissidents and other political opponents who have fled Russia, including financier Bill Browder, who is seen in the West as a hero but is suspected of crimes as serious as murder in Russia. Russia's Interior Ministry said Prokopchuk would work "exclusively in the interests of the international police community" should he be elected. Now that Prokopchuk has been blocked, the irony of the campaign against him has been laid bare: The West argued against Prokopchuk, claiming that he would "politicize" Interpol's enforcement actions. But by doing so, these same Democracies turned a technocratic election into another proxy beef in their long-running campaign against Russia.